P4P is proud to collaborate with the Michael J. Fox Foundation in creating funding opportunities through the 10.10.10 challenge. Caregiving 101 is dedicated to improving the quality of life of caregivers and those they care for. Through their television and video tips, educational programs, and free membership website Caregiving 101 works tirelessly to help those living with Parkinson’s today and their caregivers. P4P is proud to collaborate with Caregiving 101 to bring Caregiver Resources to all caregivers. 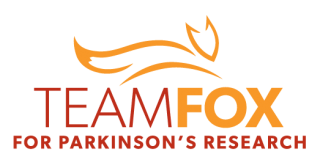 P4P is proud to partner with the Brian Grant Foundation and assist them in their mission to improve the lives of those with Parkinson’s disease. Parkinson’s Queensland provides information, education, encouragement and support to people living with Parkinson’s disease, their families and carers. The organisation works to create better awareness about the disease among health professionals and community works as well as the general public. We provide an essential link between the community and support services to ensure those living with the day-to-day and long term challenge of Parkinson’s and related disorders can face the future with confidence and independence. 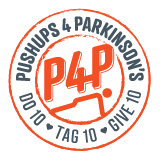 P4P is proud to partner with PAC to deliver all of the services they provide for families and those living with Parkinson’s. The Cutler Foundation was founded by the family of Keith Cutler during his courageous 14-year journey with Parkinson’s. To honor Keith, the 10.10.10 challenge was created to help raise funds for local, national and worldwide organizations who have partnered with us and focus on research for a cure; providing caregiver support; providing tools and resources to caregivers to improve quality of life; and providing education to family and professional care providers.